Richie Whitt has been a multi-media fixture in the Dallas-Fort Worth Metroplex since his graduation from UT-Arlington in 1986, with his career highlighted by successful stints in print, TV and radio. During those 27 years he's blabbed and blogged on events ranging from Super Bowls to NBA Finals to World Series to Stanley Cups to Olympics to Wimbeldons to World Cups. As a reporter/columnist at the Fort Worth Star-Telegram 1986-2004, Whitt won numerous local, state and national writing awards and in 1993 co-authored a book on the Dallas Cowboys - The 'Boys Are Back. As sports columnist for the Dallas Observer 2005-2011 he continued to garner recognition and hardware for his cover stories and in 2008 debuted his Sportatorium blog, the ancestor of his latest venture, DFWSportatorium. While at 105.3 The Fan 2009-2013, he hosted an afternoon drive radio talk show while also expanding as an emcee for public and private events, performing as a TV analyst for the Fort Worth Brahmas hockey club, hosting a nightly segment on TXA 21's Fan Sports Show and co-hosting the Cowboys' pre-game show on the team's flagship station. 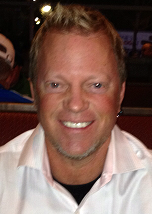 In 2012 Whitt was named one of America's Hot 100 sports talk-show hosts by Talkers magazine. A true Texan born and bred in Duncanville with family roots stretching deep into Johnson County, Whitt has remained active in the area via everything from serving on the North Texas Make-A-Wish Foundation's Communications Board to being named Grand Marshal of Dallas' Greenville Avenue/St. Patrick's Day Parade in 2012. With an intimate knowledge of North Texas, the unique perspective of vivid local sports nostalgia and a finger firmly on the pulse of current franchises, he launched DFWSportatorium with the intent of providing all things entertaining, informative, sportsy and silly on his favorite media platform. Whitt lives in McKinney with his fiancee, Sybil Summers, two dogs and a gaggle of uninvited squirrels. By the time you read this he'll likely be 49, married and well on his way to happily ever after.